I had the pleasure this past Friday of attending the lovely voice recital of Erika, a fellow chorister and rehearsal carpooler of mine. Although it has been many years since we have been in choir together, I managed to stay connected to her due to the fact that I regularly see her family members at concerts or other choral functions. I still remember back to the early years of Chamber Choir when Erika sang the highly coveted Dancing Day solo, from Rutter's traditional carol cycle, Dancing Day. She had so much strength and intensity in her instrument that she could just blow you away. A few years back, a friend and I ventured off to Montreal to experience the city during our University reading week and I managed to get in contact with Erika who was completing her Masters in Voice at the Université de Montréal. At that time, Erika was cast in the Universities' production of Die Fledermaus and she graciously invited us to attend her dress rehearsal that evening. She promptly made sure that we were placed on the guest list to attend the performance and sent me detailed instructions on how to get to the University. My friend and I braved the freezing cold weather in our fashionable, and consequently, not very warm winter coats, climbing the intensely steep and icy hill up to the Music Building. We entered an empty concert lobby and were met by an organizer who located our names on the guestlist and directed us up to the balcony where we could sit. To this day, this probably was one of the most intimate and exclusive performances I have been to. Of course, it was just a dress rehearsal, but as I sat there I was just enveloped in this calm artistic energy. I was able to locate a few professors and a red-haired woman which, I believe, was the mezzo soprano soloist, Sasha Cooke, from the Messiah performance I sang in with the Edmonton Symphony Orchestra and Madrigal Singers just that past Christmas. It definitely felt like I was sitting with the musical elite of Montreal in that balcony. I eagerly waited for Erika, who was playing Adele, the bubbly and lovely maid of Rosalinde to appear. She graced the stage in an adorable maid costume dusting the set while singing. Most of all I just amazed at how great she was sounding! Of course, she always sounded stunning, even while in choir, but I could really hear how much more control she had developed through the numerous years of vocal study. Not only had she mastered the power of her voice but she could deploy it in an artistic manner to achieve maximum affect throughout her performance. It was an absolute delight to watch her sparkle on stage as Adele and I felt so honoured that I was part of the select few who were present during the dress rehearsal. Afterwards, Erika slipped off during the final encore run-through to come and say hi to my friend and I. She graciously took a picture with me before she headed back on stage to tweak a few more details. When I got back to Edmonton, I was told that Erika woke up the day after the dress rehearsal with no voice! Her parents made a special trip out to watch her on the opening night of the performance, but alas, Erika was unable to sing. Thus, in a way I feel like I was even more special since I was one of the few who actually was able to hear her amazing voice. It was terrible that she was not well enough to share her music with the waiting audiences but inexplicable sickness can overwhelm any soloist. I am happy to report that Erika had a voice to carry off her past Friday recital, Moonlit Nights, and it was just lovely to hear her again. It is so easy to listen to her rich soprano sound as it is as smooth as liquid gold. I'm sorry I cannot report more specific details about individual pieces but the whole evening was just a haze of sparkling vocal music. Erika is headed off to study at the Manhattan School of Music in NYC and I wish her all the best as she continues her studies and shares her incredible voice with NY audiences! :D Cool. Good luck to your friend Erika then! Your blog, is the "Blog of Note" now. Just another Blog of Note! Olá amiga! O teu espaço é muito bonito e tem belas fotos, porém se colocasses um tradutor ficaria mais fácil para entender e comentar. erika and you enjoy the moment. Hello, I found you through Blog of Note - congratulations on that distinction! I see you are a choir lover - have you ever given much thought to barbershop music? 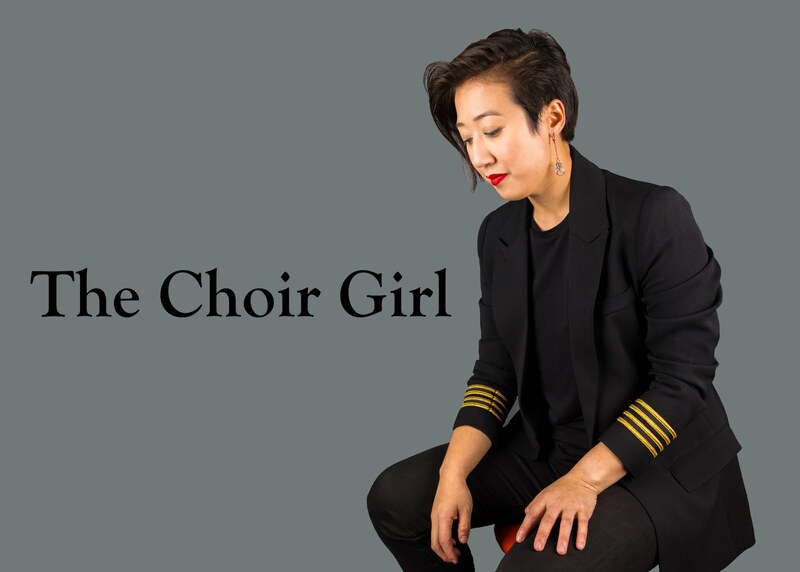 It's certainly a different genre from choral music, but it provides so many of the same things you mentioned about choral music... the intense energy you get when singers are all breathing in and singing out the same emotions, sending out beautiful music to the audience, etc. I'd encourage you (and your readers) to give Barbershop a listen. C'mon over to my website as a jumping-in point!